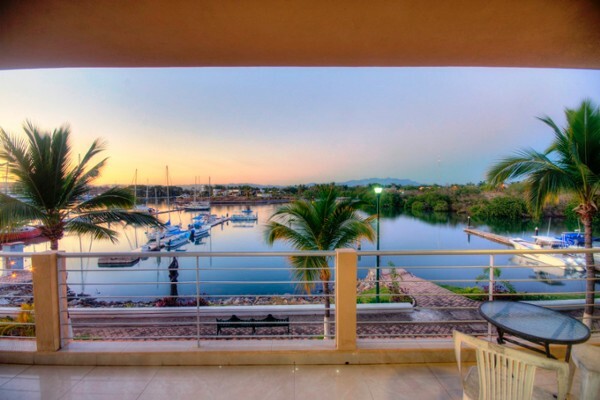 Built in 2010 by Mexico city father and son team - arquitect and developer , this high specification designer condo has spectacular marina and mountain views in the prestigious Villa 5 area of Nuevo Vallarta. 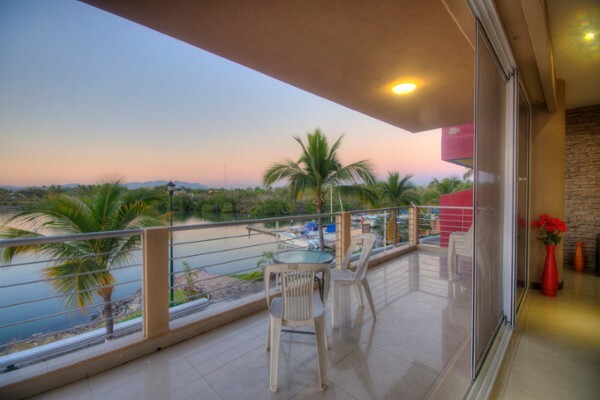 Condo 32-101 Marina Delfines is a beautifully appointed 3 (KS) bedroom, 3.5 bathroom condo on the water front in Nuevo Vallarta marina. 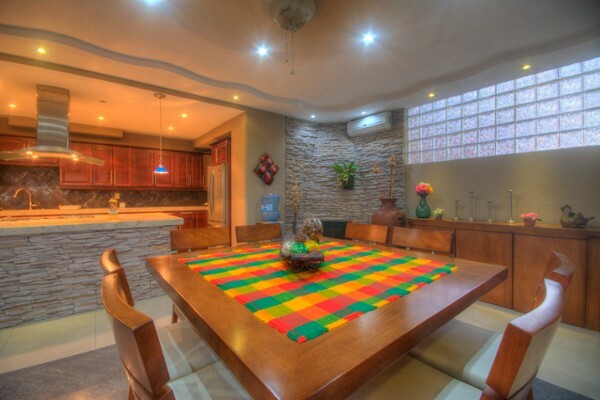 It features high grade appliances, power showers, Italian floor tile, marble and granite kitchen and bathroom counter tops, stunning stained glass feature window in the dining room and many other attractive and original details that can only be appreciated once inside. A glass elevator silently delivers you from your personal undercover parking space to your apartment and opens directly into your living room. Alternative access is via a stairway. Both entrance doors are handcrafted from Parota wood and have high security locking systems. The area benefits from 24/7 security along the boardwalk in front of the condos. Gloriously spacious with feature lighting, this condo has so many touches that it is difficult to do it justice in writing. Feature "rough hewn" stone finishes in the sitting room and kitchen give way to Italian polished floor tile with mosaic feature. 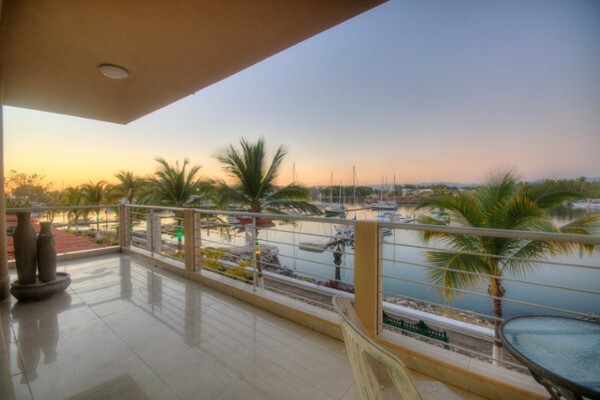 There is a built in fire place for the cooler winter evenings and generous amounts of closet space and storage, beautiful bathrooms and separate laundry and utility areas combine with the panoramic open views of the marina and its boat slips, marine life and much more. 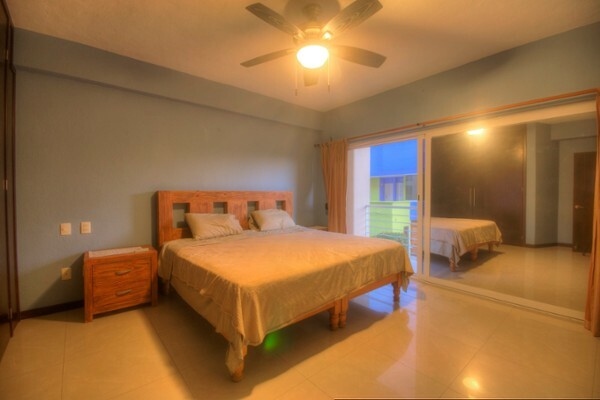 The rear bedrooms have full size sliding glass doors which have views to the pool and open onto a small agave plantation and views to the mountains/ocean as well as on to the pretty residential area of this sought-after and peaceful area of Nuevo Vallarta. 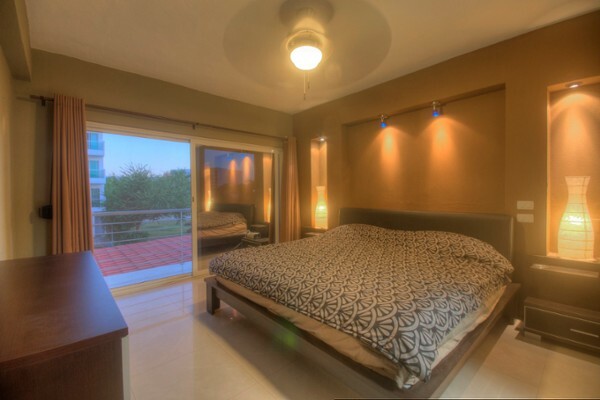 All rooms have individual air conditioning units and plenty of fresh, cooling cross- breezes when the windows are left open. This home is a fabulous investment or retirement home for those with families or who love to entertain. Priced to sell turn key, and including furniture and most artwork.